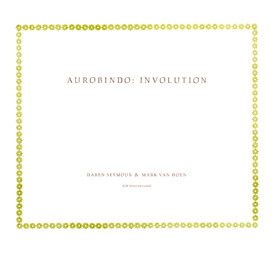 Aurobindo: involution is a new album from Daren Seymour of Seefeel (Warp Records) and Mark Van Hoen of Locust (R&S Records). A journey in sound that summons the source of spiritual energy. …also featured in The Wire’s Chill Out Zone 15 chart compiled by Paul Thomas of Kiss FM, who plays it regularly on his late show. Paz Pooba, Pelican club featured it in his Hot Shots chart. Mark Bell, Ark club, featured it in his Power chart return. Moose, Vague/Back 2 Basics featured it in his White Noise chart return. The Promoters, Zzonked, were surprised by how many DJs not noted for being way-out played and charted this record. It was played on Kiss FM, Groove FM and Dream FM radio here in the UK.